*For the 14 pt. Gloss Cover paper stock , a High Gloss UV Coating will be applied to the color sides, unless High Gloss UV Coating Front Only is selected. High Gloss UV Coating will not be applied to the back if you select Grayscale Back or Blank Back. 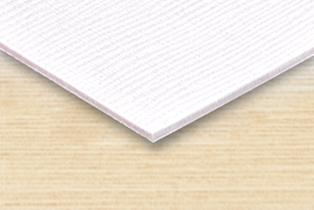 *Not all quantities are available for certain paper stocks. * Does not apply to all material. No two businesses are exactly the same, so we offer you plenty of choices when it comes to creating your promotional bookmarks. 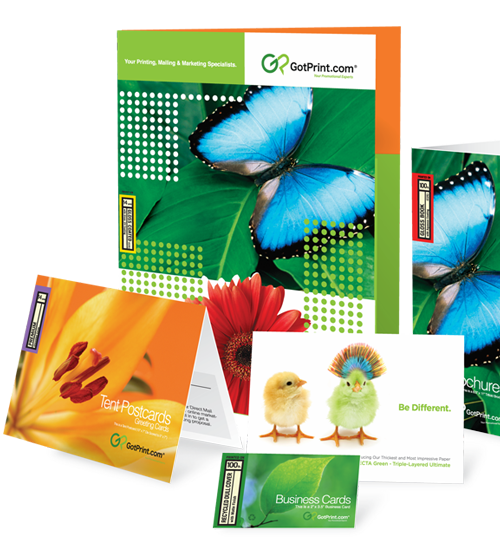 GotPrint uses full-color digital and offset printing to ensure that you love your finished product. GotPrint also features extra touches to make your bookmarks stand out, such as round corners and several coating options. All bookmarks are printed on premium paper stocks to reflect the high quality of your business. When you use GotPrint.com, it's easier than ever to design and order your bookmarks online. If you've already designed your bookmark, use our upload tool to place your order. We also offer attractive backgrounds and an easy-to-use Online Designer tool for those searching for design guidance. Since every order includes reasonable pricing, fast shipping and incredible quality, you can trust GotPrint.com to fulfill all of your bookmark printing needs. Provide vital information that pertains to your company such as contact information, or reminders of important dates, events, and discounts. High Gloss UV Coating makes the products more durable, so your bookmarks will last longer. You cannot write or print on products with High Gloss UV Coating. If you would like to write on the back of your bookmark, choose the 14 pt. Uncoated Cover or select High Gloss UV Coating Front Only on the 14 pt. Gloss Cover. Custom bookmarks make wonderful promotional items for several reasons. They are relatively inexpensive, useful, and are handy tools for just about anyone. Bookmarks are a popular choice among those in the publishing field, but they are also an excellent option for companies that want to leave a big impression. Your customers will see your logo and think of your business every time they pick up a book! E.g., Final Size: 2" x 8"
Size with Bleed: 2.1" x 8.1"
To reduce file size, please upload in .jpg format. If you choose another file format, please ensure all layers are flattened. For best results, please use our Download Templates. All the available templates already have the correct dimensions, including bleed.